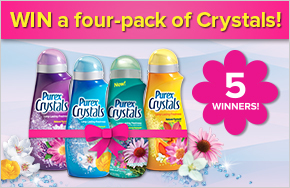 Home » WIN a 4-Pack of Purex Crystals for scent-sational Spring! WIN a 4-Pack of Purex Crystals for scent-sational Spring! Inspiration is in full bloom with the freshness of spring in the air! Scents evoke emotional reactions, awaken fond memories, and enhance moments. Log-in to your Pinterest account, and follow Purex. Pin at least 1 item inspired by the fresh scents of spring. When your board is complete, fill out the form below & enter to WIN! What scents inspire you this spring? READ WIN a Family Vacation from Purex! 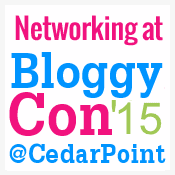 Previous Previous post: Family Fun Magazine Giveaway from Purex! Next Next post: Father’s Day Treat Recipes! Family Fun Magazine Giveaway from Purex!